"Another six to eight inches, you might not be talking to me today," said Peterson. Using government data, the American Road & Transportation Builders Association compiled a report showing that 54,259 American bridges are "structurally deficient." So many bridges are in need of repair, says the report, that if placed end-to-end they'd stretch nearly from New York City to Miami. And experts say that at the current rate of repair or replacement it would take 37 years to fix all the bridges. "It really comes down a failure of leadership in Congress to address some of these issues and provide additional funding," said Dr. Alison Black, author of the ARTBA report. President Trump is expected to address the country's aging infrastructure during his State of the Union address Tuesday night. In 2016, NBC National Investigative Correspondent Jeff Rossen inspected a Washington, D.C. bridge with Charles Borders, a transportation branch chief with the National Park Service. 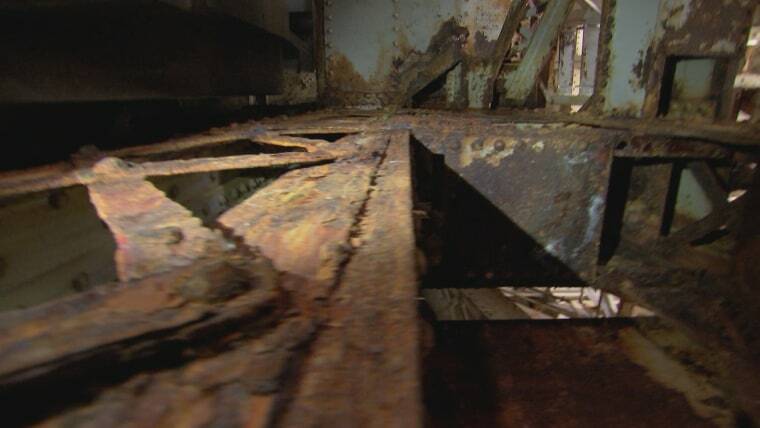 "There is metal literally peeling right off of it," said Rossen as he looked at the underside of the structure. "Look at this flange right here, paper thin. This is all that's left," said Borders. "This is what's holding up the roadway?" asked Rossen. "This beam is holding the bridge up," confirmed Borders. "This is the support for the entire bridge. Just completely rusting away." That bridge has not been fixed. Late Monday, an official from the Federal Highway Administration told NBC News in a statement, "ARTBA's report, which relies on data from FHWA, underscores the need for investment in our nation's infrastructure. It also highlights the importance of streamlining the permitting process, so that the projects that are funded can move forward without undue delay. The Department of Transportation looks forward to continuing our work with state and local interests to revitalize the nation's roads and highways, offering improved safety, new jobs, and a better quality of life for the American people."